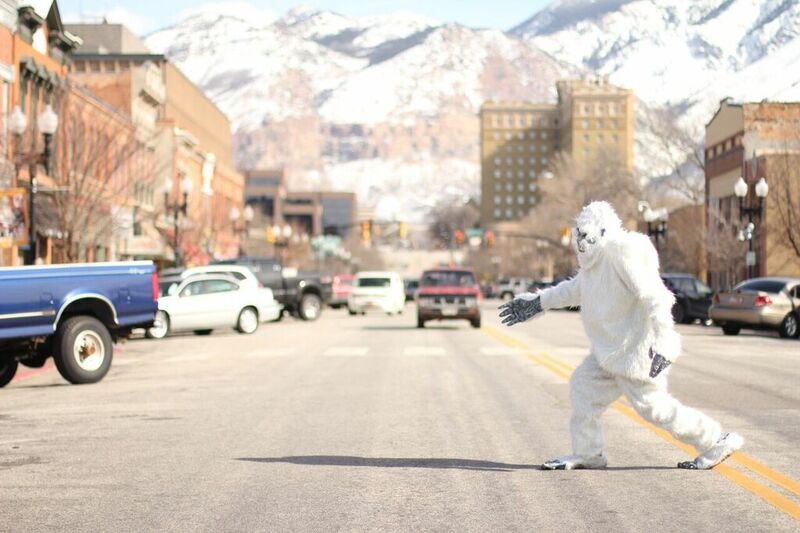 The Yeti, a mystical winter creature rumored to live in the highest of mountains, is the theme of this weekend’s first ever winter bash in downtown Ogden—fittingly named the Yeti Bash. The events of the bash will take place over five consecutive days, starting Feb. 24 and ending Feb. 28. The bash is sponsored by America First Credit Union and will be put on by Visit Ogden, an organization dedicated to recognizing all that Ogden has to offer. 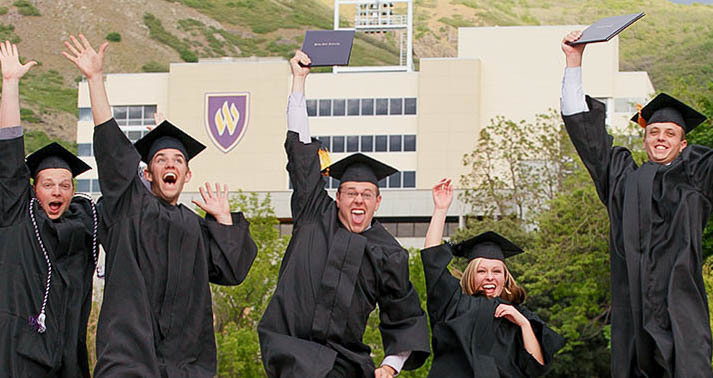 “Here at Visit Ogden, we strongly promote tourism in Weber County,” said Sydnie Furton, Public Relations and Marketing Manager of Visit Ogden. The bash begins today at 3 p.m. at Powder Mountain with Ladies Night by Sheshreds. Lift tickets are $15 for all ladies. According to Furton, everyone from beginning to proessional snowboarders are welcome. On Feb. 25, at Peery’s Egyptian Theater, Warren Miller’s ski race film “Streif: One Hell of a Ride” will be screened at 7 p.m. “I think it will be a cool film to see if you’re a skier or if you aren’t a skier,” Furton said. The film tells about the struggles and endurance of ski racers and what their families go through. The main event is being held Feb. 26 starting at noon with a variety of things to do. The day will start with a Winter Sports Expo at the Courtyard by Marriott. Intertwining with the expo is the official Yeti Bash from 4 – 7 p.m. at the Ogden Amphitheater. There will be a winter art market held by “Nurture the Creative Mind.” According to Furton, it will be very family friendly since many of the art vendors will be participating in interactive activities. All those who attend the event will be able to witness a 6-foot-tall yeti being sculpted from ice. “DJ Battleship will be there, just keeping the vibes cool,” Furton said. She also mentioned that there will be fire pits where people can enjoy s’mores. Starting at 5 p.m. on Feb. 26, there will be a community Fat Bike ride. Those who go on the ride can decorate their bikes beforehand. Later, there will be a dance performance by The Movement Dance Company. After the dance performance, there will be Yeti Yoga by AndShesDopeToo, where community members can enjoy yoga with yetis. Towards the end of the night, there will be a Yeti Crawl taking place on Historic 25th Street. Yetis will be taking over the bars and restaurants. Visit Ogden encourages people to look out for the snow-loving beasts. Yetis and other mythical creatures are also encouraged to attend this event. The last part of the weekend includes the USA Cycling Fat Bike National Championships at Powder Mountain, and the US Snowshoe Championships at Powder Mountain and at Snowbasin Resort. Furton encourages anyone and everyone to come see what the Yeti Bash is all about. “There will also be fat bike demos at the event, so if anybody has wanted to try riding a fat bike, this is a great opportunity to try that out,” Furton said. According to Director of Sales at Visit Ogden Anissa L. E. Brown, the Yeti Bash will be a gathering for people to celebrate everything to do with winter. According to Furton, the Yeti Bash is about community. “I’m just looking at this as a way to bring the community together and also to get people excited about winter again,” she said. Furton hopes people come out and embrace this time of year, including the weather. Brown explained that Weber students should come to the bash because they get to be a part of something that is growing within the community. “Why would you want to miss it?” Brown asked. 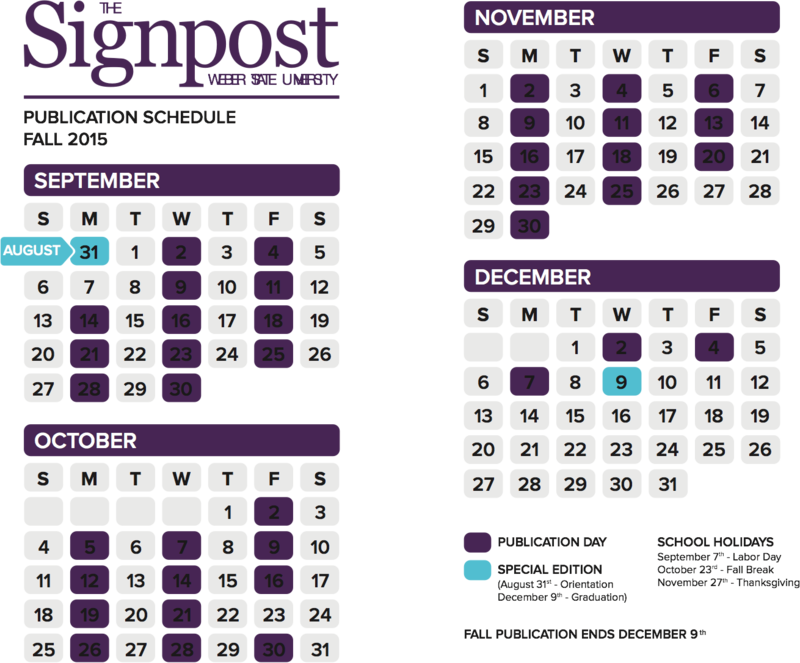 For additional information on places, times and prices of the events, go to visitogden.com. Science weekly: Are you seeing what I’m seeing?